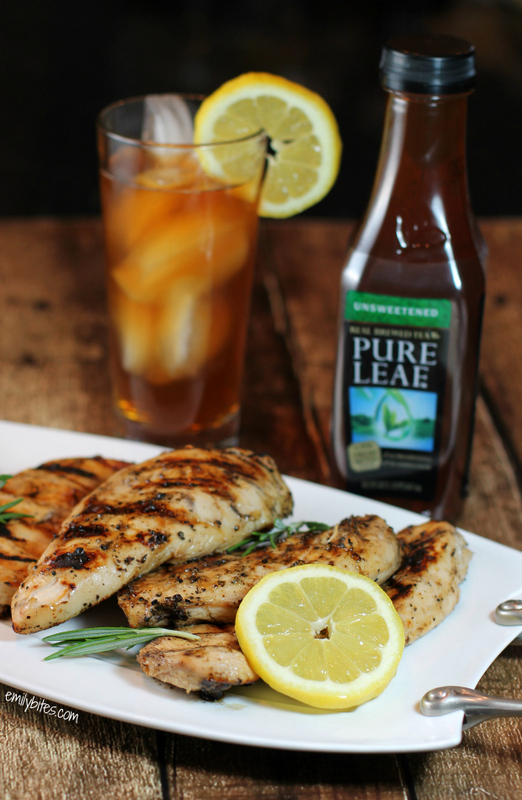 I’m so excited to share this Lemon Pepper Iced Tea Chicken with you. Now that Memorial Day has passed, it’s officially grilling season and this is my new favorite marinade by far. Tart, sweet, peppery, garlicky – I can’t get enough! One of the great things about my job is getting to partner with some of my favorite brands, so when Pure Leaf asked me to develop a recipe* using their iced tea as an ingredient I started brainstorming right away. I have been a huge fan of their product for years! It has a true, authentic, fresh brewed flavor because it’s brewed from real tea leaves. You really can taste the difference. Since Pure Leaf Iced Tea has such a great real tea taste I thought it would work really well lending its flavor in a marinade. I added lemon and honey because they pair so beautifully with tea and then gave it a savory twist with garlic and freshly cracked black pepper. The blend of flavors turned out perfectly, and you can tastes notes of every ingredient in each bite of chicken. My fiancé ended up doing the grilling (he is the Grillmaster in our household) and he snuck a taste before bringing the chicken in. I knew it was a hit because when he came inside he said something to the effect of “OMG yes, you need to try this. It’s so good” So that’s another ringing endorsement if you need one! One of the other reasons I’m excited to partner with Pure Leaf this Summer is their work with Wholesome Wave. Wholesome Wave is a nonprofit organization with a mission to increase access to (and affordability of) fresh, locally grown food through programs that work with neighborhood farmer’s markets and encourage those in under-served communities to make healthier choices and buy local produce. Through their “Share the Love of Leaves” campaign, Pure Leaf has already donated $100,000 to assist Wholesome Wave with their efforts, and you can help them to donate more! For every social engagement from fans on Pure Leaf’s Facebook or Tumblr, and use of the #loveofleaves hashtag on Instagram and Twitter, Pure Leaf will donate an additional dollar to the cause, up to another $50,000. That means you can help Wholesome Wave fulfill their mission just by following those links and hitting “like” – how easy is that? If Pure Leaf reaches their goal of a full $150,000 donation it will help Wholesome Wave provide 100,000 pounds of fresh, local grown fruits and vegetables in communities all across the country. That’s worth a “like” isn’t it? 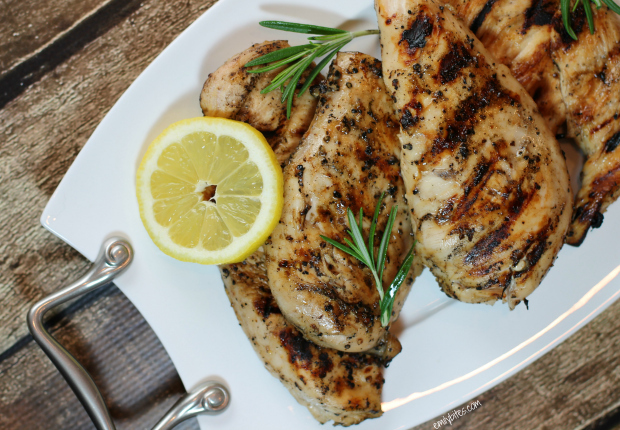 I can’t wait to hear how much y’all love this marinade – I’m making it again this week! Combine all marinade ingredients in a one gallon Ziploc bag and stir until well combined. Add the chicken breasts to the bag and coat with the marinade. 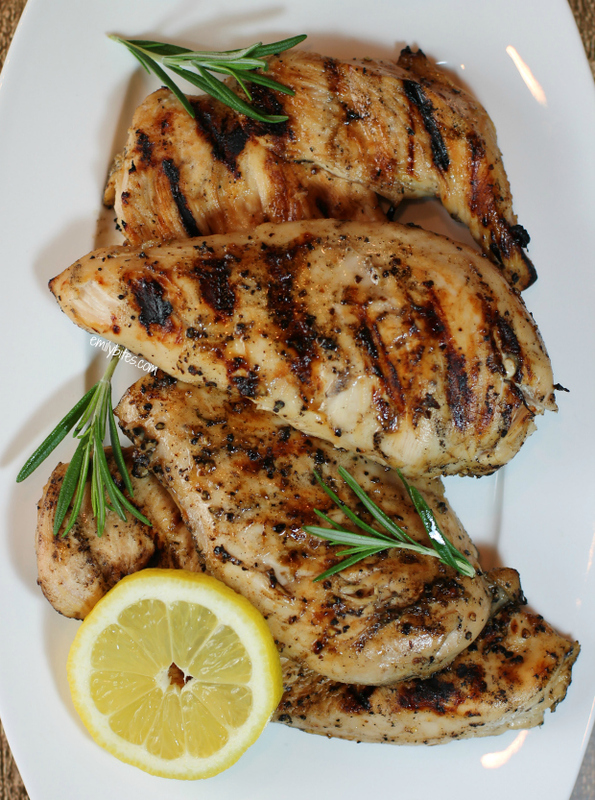 Make sure the breasts are covered in marinade and refrigerate for 8 hours. Pre-heat the grill until hot (ours was set at medium temperature). Remove the breasts from the marinade and place on the hot grill. Cook through, flipping as needed. Ours took 10-12 minutes to cook but depending on your grill, cooking times may vary. *Just a note about the nutrition information and Weight Watchers Points for this recipe: If you plug the full amounts of the marinade ingredients listed into a nutrition calculator you will get different nutrition info than I have listed. Since so much of the marinade gets thrown out, I decided to weigh the marinade before adding the chicken and then again after removing the chicken the next day and calculate the nutritional values based on the amount of marinade that actually gets consumed. The totals above should be pretty accurate reflections of what actually makes it onto your plate! Who knew you could use tea in a marinade? Such a neat concept! Not sure if we have that tea down here in South Carolina. If not, I will have to try making it with my next pitcher of sweet tea (before I add the sugar of course!) Can’t wait to try your Dorito Taco Salad too! Thanks for the great recipes! Could it be done in a grill pan? Could you use lemon pepper seasoning vs using regular lemon? I suppose, but I do not think you will get the same results. 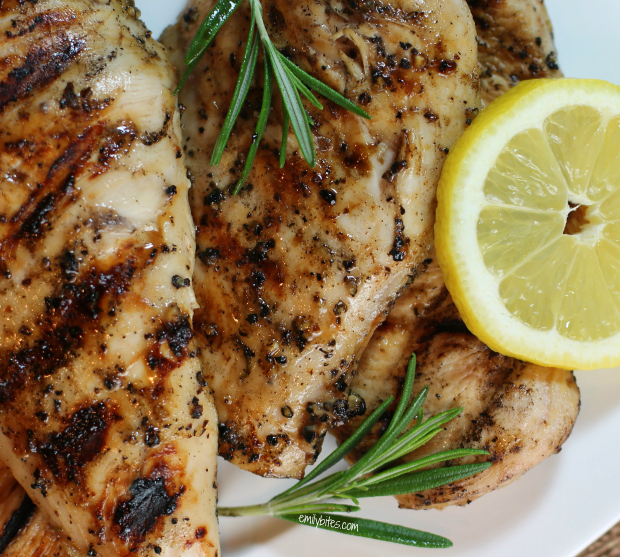 Fresh lemon and freshly cracked pepper add a lot of flavor. Hope you like it! This is the first Emily Bites recipe I’ve made that I haven’t liked. I’m only posting this because I think it was partially my fault and I hope others can learn from my mistake. I think the reason Emily liked this so much was because it was made on an outdoor grill, which sealed in the flavors. I don’t have one, so I made it on my George Foreman grill. I think the George Foreman, while removing the fatty juices (which is what it’s supposed to do), let the delicious marinade slide right off with it. I did two chicken breasts that way and they had none of the yummy marinade flavor I was hoping for. I baked the remaining ones (b/c I had doubled the recipe) and it was still pretty flavorless. Upshot: if you’re going to make this, it seems like it really needs to be grilled as directed. I’m really bummed b/c I think I would LOVE it, but it didn’t turn out for me. This was delicious! It made the most juicy chicken we have had in quite a while! Made it. Loved it! Iced tea…Who knew? Made this last night and it was so fantastic! It had just the right amount of flavor without overwhelming the chicken. And I only had it in the marinade for 5 hours. I can only imagine what an extra 3 hours would do to amp up the flavor! A new favorite in our house for sure and a perfect spring/summer recipe! Has anyone tried this in their Instant Pot? I often cook my chicken ahead of time and grill it last. We made this one for my mom – OMG huge hit!!! We find the longer we marinate it, the better it is, so we usually put it in before bed, then have it for dinner the next day. We made it for a cookout and our friends gobbled it up! Lately it’s been warm enough to grill here, definitely going to make this again soon.